There is a distinct air of rebellion emerging from the Jubilee coalitionâ€™s URP wing. Indeed, many observers were dismayed when at a rally in Eldoret, Nandi Hills MP Alfred Kiptoo Keter audaciously asked the President and his deputy to put their house in order and get rid of the thieves in their midst. 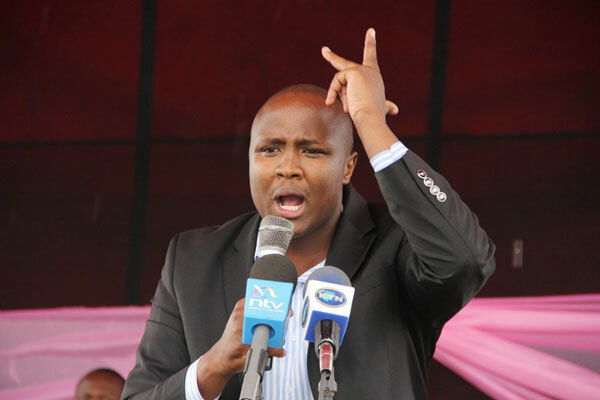 But the alleged â€˜thievesâ€™ were not the only burning issues in the mind of mheshimiwa Keter within the Jubilee coalition. Mr Keter had previously dared President Kenyatta to kick out of government officials he said had fixed Deputy President William Ruto at the ICC. While this sort of candour has predictably caused disquiet among the Jubilee governmentâ€™s high table, those criticising the youthful legislator are missing the point. Indeed, letting loose on the burning issues of the day should be part of the course of any respectable government that accommodates dissenting views from within. Mr Keterâ€™s onslaught, coming as it did close to the Christmas season equally demonstrates the spirit of the season. Indeed, there are few things more agreeable than a dose of truth delivered during the Christmas holidays. To the Romans, the festivities which we call Christmas and which they called Saturnatia marked the seasonal chilly weather that comes towards the end of the year. This was accompanied by some bizarre rituals. Normal rules for example would be reversed, with families playing the role of waiters to their servants (sometimes slaves, too). As we all know, alcohol can fuel dangerous candour, thus the phrase â€˜in vino veritasâ€™, which loosely translates: â€˜In wine there is truthâ€™. When celebrations were over, servants were apparently forgiven for their drunken rudeness and, with the Christmas festivities over, normal rules would resume. Mr Keterâ€™s outburst may have been triggered by the fallout from the Sh1 trillion standard gauge railway project launched by the President a few weeks ago, and which Mr Keter insists was three times overpriced, and its tender unprocedurally awarded. But judging from the hostility that Keter has faced during the Presidentâ€™s subsequent trips, it is increasingly obvious that most of our leaders believe that as long as the government functions like a well- oiled machine, at least from the outside, then no need to highlight the flaws. Isnâ€™t it time dissenting voices were granted a louder audience and sycophants frozen out?